Vinyl siding has enjoyed considerable popularity in recent years because of its affordability, but it isn’t the ideal cladding material for homes in Northern California. As it ages, vinyl can discolor, fade, warp, and crack, and it’s a flammable material that releases toxic fumes when burned. Additionally, the material doesn’t “breathe,” so it’s easy for moisture to stay trapped behind it. This can result in hidden rot, mold growth, and insect infestations inside your walls. 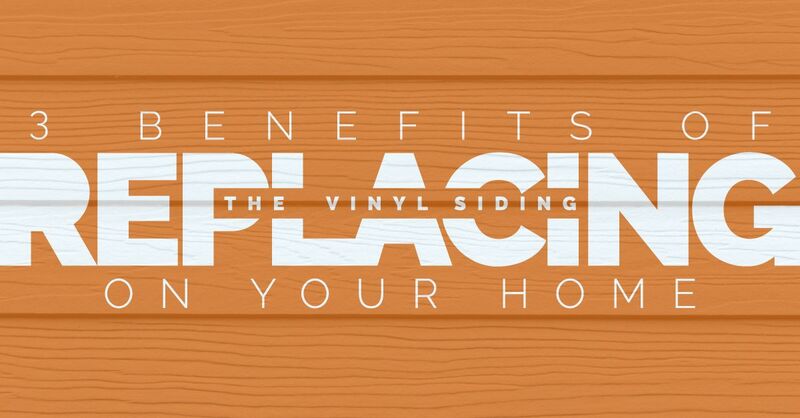 If your vinyl siding is starting to show signs of age-related deterioration, now’s the time to replace it with a more durable, safe, and eco-friendly material like engineered wood or cement board. The quality and condition of the siding can either detract from your home or boost its curb appeal. Faded, worn vinyl cladding takes away from beautiful landscaping and a bright, cheery interior, while high-quality siding can give your home an eye-catching aesthetic. Installing new siding can make your home more attractive to the real estate market if you should ever choose to move later in life. As a matter of fact, according to the 2015 Remodeling Impact Report from the National Association of Realtors®, you can expect to recoup about 79 percent of the project cost in added value! The exterior walls of a home are one of the key areas where energy losses frequently occur. If you have an older vinyl product on the exterior, the material itself has little insulating value. Replacing it gives you an opportunity to insulate the wall cavities, and add house-wrap and rigid foam insulation. Having new siding professionally installed can also ensure that sources of air leakage are properly sealed. This allows heating and cooling to be more efficient and less costly, and there’s less wear and tear on your HVAC equipment. Poorly installed or aging vinyl on the exterior can cause costly deterioration to your home if rainwater finds an entry route into the walls, or moisture vapor moving out from the interior can’t escape and builds up behind the siding. In either case, removing the vinyl and replacing it gives you a chance to have any developing issues like decaying framing and studs, mold, or termite damage corrected to protect your home’s structural integrity. To learn more about high quality alternatives for replacing the vinyl siding on your Sacramento-area home, contact us today at Straight Line Construction!